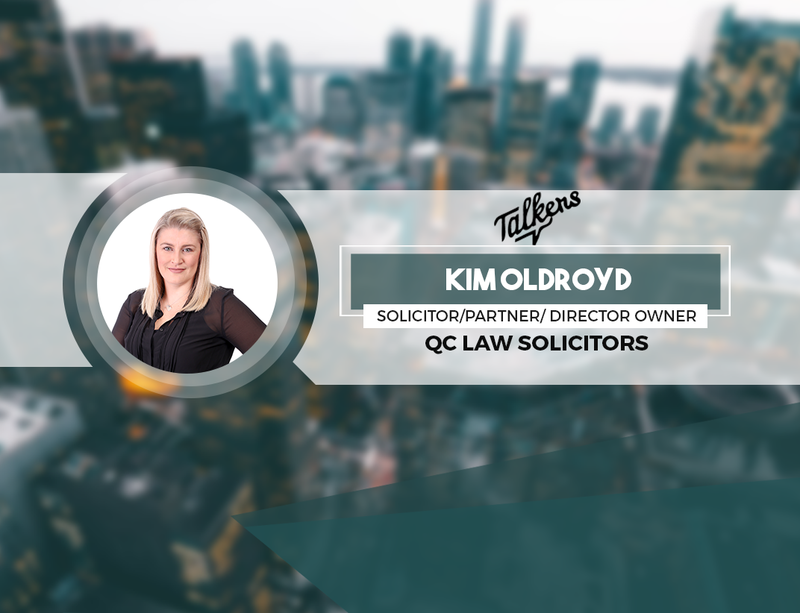 Guest Bio: Kim Oldroyd is a Solicitor and Director Owner of QC Law Solicitors in Gold Coast and Brisbane, with practices in the areas of Property law, Commercial and Wills and Estate Administration. Kim deals with residential conveyancing acting for the Seller and the Buyer, to first time investors, and overseas investors. She also deals with interstate conveyancing, business sales and purchases, leasing, put and call option agreements, and commercial and industrial land sales. Kim is a graduate of Bachelor's Degree in Law from Southern Cross University, a Graduate Diploma in Legal Practice from Queensland University of Technology and an Associate Degree in Law from Southern Cross University and is a member of the Queensland Law Society. Segment overview: QC Law Solicitors is a commercial firm based in the Gold Coast and Brisbane, composed of highly experienced support staff that helps clients in the areas of business law, property and development, conveyancing, criminal law, and will and estate administration. Kim talks about what they do and who their usual clients are, the impact of internet in their line of business, and her unbiased insights on Amazon’s announcement of opening physical warehouses in Australia. Wayne Bucklar: You’re listening to Business Radio Talkers.FM. My name is Wayne Bucklar and my guest today joins me from the Gold Coast in Queensland, she is Kim Oldroyd. And Kim is from QC Law Solicitors and in fairness, at QC Law Solicitors Kim is a solicitor and a partner there. Kim, welcome to program. Kim Oldroyd: Thank You Wayne. Thank you for having me. Wayne: Now Kim, when the name is QC Laws Solicitors, I got a good idea what you do but why don’t you fill me in on the services and areas where you specialize and whereabouts you do it? Kim: Sure. So QC Law, we are predominantly a commercial firm obviously. We are based in the Gold Coast. We also do have a small office in Brisbane and it was founded by myself and my business partner, Giuseppe Sciacca. 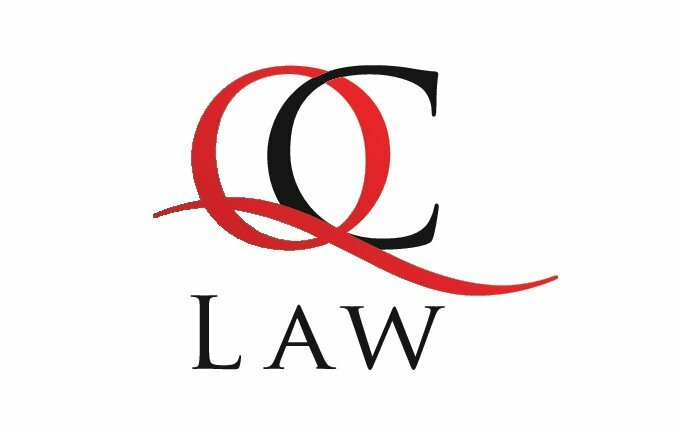 At QC Law we pride ourselves on impeccable service, not only to our clients but also to other professional services. We are a strong team comprised of some of the leading commercial property and criminal solicitors on the Gold Coast and Brisbane as well as highly experienced support staff. Our practice areas of law include obviously business law, property and development, conveyancing including Queensland, the New South Wales, Victoria, South Australia, and ACT conveyancing, criminal law including traffic matters and wills and estates administration. Wayne: That’s a pretty comprehensive hand bagful. Kim: It is. It is. We specialized in a fair few areas there and we have leading solicitors in their field to handle each section and obviously my business partner – Giuseppe and myself – being their partners and founding firm partners overview the whole lot. So we’d like to make sure that we have on hand and be involved in every file not just the high-end clients. We’re pretty much too involved in everything from the little will to the big commercial client. Wayne: And I guess you get a pretty good oversight of property on the Gold Coast too. Kim: We do. Being locals ourselves, that’s why we spend most of our time here at the stunning Gold Coast. There’s a lot of infrastructure here at the moment which is great Commonwealth Games upcoming as we all know next year and probably it’s booming. I mean Sydney and Victoria are just not affordable for a lot of people in Moreton. Investors are flocking our way which is great. Wayne: Well that’s always a good problem to have. Wayne: Now Kim, we’ve been talking to a lot of businesses about the internet and what’s been happening. Do you get much impact from the internet in your business? Kim: We do. Internet and online businesses have affected us dramatically but I think only in a positive way. It provides further opportunities for new clients to be able to find us where they can learn about our firm and services. They can review us as well and read our online articles. The internet has allowed us to store our client files electronically as well as documents we use to queue of cloud service in our business. We could be totally paperless if we chose to do so which is what we’re going to be looking at in the next 12 to 14 months. Online business and services can be damaging though to a small business if you don’t keep up with the ever-changing services because clients won’t be able to email you at anytime and have access to you. And one great thing about our firm as well if we’re ever out of the office – being partners, we are busy. Our mobile phones actually have a link to our online data service for our clients’ accounts and documents. So at a touch of a button I can look something up, call back the client or call the office. Firms that aren’t progressing in this area I think will be left behind. And we even have clients overseas that we Skype and give them information because they can see us face to face and it’s the way it’s all going. Internet is everything and we all know that when the internet goes down, well kind of stop. Wayne: The world stops, yes. Kim: It does. So I think it’s been positive for us. Wayne: And when you get to the point where your mum is Skyping you, it’s time that your business partners could Skype you as well I think. Kim: I think so as well, definitely. Wayne: Now Kim, one of the things that’s happening that’s led us down this path of talking about the internet has been Amazon’s announcement that they’re opening physical warehouses in Australia and they’re going to make a push here. Do you see that having a big impact? Kim: Look, I think there will be an impact. For me, though I’m time poor for running law firm, so I do a lot of online shopping and before Amazon reached our doors, I have been known to buy from Amazon in the U.S. Obviously look, they’re an American giant arriving on our doorstep. I know they’re opening in Melbourne, they may have an impact on local retail stores such as Harvey, Norman and JB Hi-Fi. But in saying that as well, online shopping has been in Australia for at least 10 years and the retail giant will provide hundreds of new jobs they’re saying for locals and they’re also offering some sort of a way that you can sell online. I think the likes of Harvey Norman and JB Hi-Fi will be around forever. I mean Harvey Norman is an Australian icon. Amazon is for the U.S., I think they just need to step up their game. So if they want to compete, get online, get more online so that you can purchase online. There will be some sort of impact but I mean everything has an impact, doesn’t it? I refer it to when Bunnings first came, it’s a giant. We either embrace it and work out how small businesses can cope around it. And look they say that Harvey Norman and JB Hi-Fi will diminish. I really don’t see that happening, they just got to step up the game, get their marketers, get more online and people know that they’ve been there forever and I don’t see that people will stop going to Harvey Norman so that they can go and lie on their bed and try it out rather than buying it online at Amazon. Wayne: There is that experience element of shopping that people still like. Kim: Well that’s right. They like to try before they buy. So they want to go in and sit on the couch or lay on the bed or have someone explain the computer system to them. And then there’s others that have been buying purely online for years and they’ll find it great that it’s not coming from the States, it’s local. Wayne: And if they reach that kind of 4-hour delivery point serve in the major cities that they are offering in the U.S. and in some places now, it will make a little impact I think but we’ll wait and see. Wayne: Now Kim, I noticed on your website it says, ‘To schedule a free initial consultation’, is that offer still open? Wayne: So for people who are interested in that or just interested in reaching out to you and your opinions, how do they get hold of you? Kim: They can get in contact with us in a number of ways. They can always ring our direct Gold Coast office number which is (07) 5657 1928. They can shoot us across an email to epost, so that’s epost@qclaw.com.au or jump on the World Wide Web which I’m a fan of and go to www.qclaw.com.au and click on our little link and we will get back to them the same day. That’s our policy. Wayne: And because I’m always getting in trouble for giving website addresses without giving people due wanting to pick up their pencils, pencils ready listeners, that address was www.qclaw.com.au. Kim, thanks for sharing your time with us this morning. I appreciate it and I know you’re a busy person. Kim: Thank you so much and thank you for having me. Wayne: It’s been our pleasure. If you’ve just missed my conversation with Kim Olroyd of QC Lawyers, the good news is on our website, we have a transcript, we also have an audio archive on both SoundCloud and YouTube and you can listen to the whole interview there. You can access all of that through those station’s website at Talkers.FM. My name is Wayne Bucklar and you’re listening to Business Radio Talkers.FM.